PAIC Limited | Govt. Jobs | Manager Recruitment | Last Date: 07 August, 2015. Punjab Agro Industries Corporation Limited(PAIC) is the premier organization of Punjab Government, entrusted with the responsibility of promotion and facilitation of agro based industries including agro processing, dairy processing, poultry processing, agro residue processing, food & horticulture processing, agro chemicals manufacturing etc. in Punjab. PAIC was incorporated in 1966 with the objective to provide quality agri inputs viz. fertilizers, pesticides and tractors to farmers. In early 1980s, PAIC ventured into project development activities and implementation of agro processing units in the public sector. Posted in Agriculture Engineering, Apply online, Government Job, Job After Btech, MBA. Tags: 2015., Govt. jobs, Last Date: 07 August, manager, PAIC Limited, recruitment on July 12, 2015 by kavita joshi. 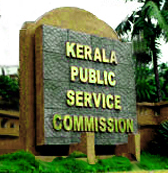 The Assam Public Service Commission came into existence on Ist April, 1937 in accordance with the provision of the Govt. of India Act, 1935 with Mr James Hezelett, a retired ICS officer from London, as its first Chairman. Till framing a new regulation in 1951, five more officers mostly retired ICS officer, held the office of the Chairman for different period after Mr James Hezelett. On India becoming Republic, the regulations of the Commission were framed by the Governor of Assam in exercise of the powers conferred by Article 318 of the Constitution of India and the same came into force w.e.f. Ist September 1951. Posted in Agriculture Engineering, Chemical, Civil, Computer Science, Electrical, Electronics and Communication, Electronics and Instrumentation, Electronics and Telecommunication, Government Job, Job After Btech, Mechanical. Tags: 2014., Assam PSC, Forest Ranger, Govt. jobs, Last Date: 8th August on July 8, 2014 by kavita joshi. Kerala Irrigation Infrastructure Development Corporation Ltd (KIIDC) is a wholly owned company of Government of Kerala, for the promotion and development of medium and large scale irrigation and water supply projects units in the State. As the nodal agency for foreign and domestic investments in Irrigation Sector in Kerala, KIIDC provide comprehensive support for investors facilitating constant interaction between the government and the irrigation sector. Posted in Agriculture Engineering, Government Job, Job After Btech on July 23, 2013 by kavita joshi.